A new species for Spanish mineralogy. 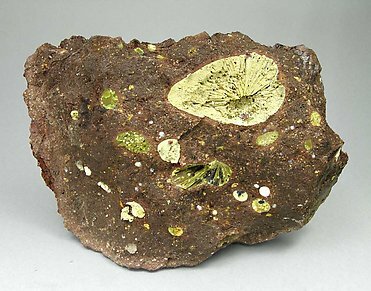 Flattened and scoriaceous growths of yellow calcian Nontronite, that have completely replaced earlier Laumontite crystals, while preserving their shape. 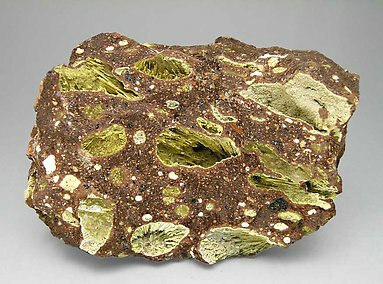 With some black scoriaceous Hollandite thin stains. Calcian Nontronite is filling vacuoles of a volcanic rock. We will provide a copy of the analysis to the buyer. A new species for Spanish mineralogy. 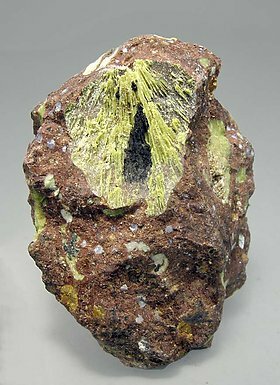 Flattened, radial and scoriaceous growths of yellow calcian Nontronite that have completely replaced earlier Laumontite crystals. Calcian Nontronite is filling vacuoles of a volcanic rock. We will provide a copy of the analysis to the buyer.